Here's Your First Glimpse at the New Les Mis, Which Is Based on the Novel NOT the Musical, OK? 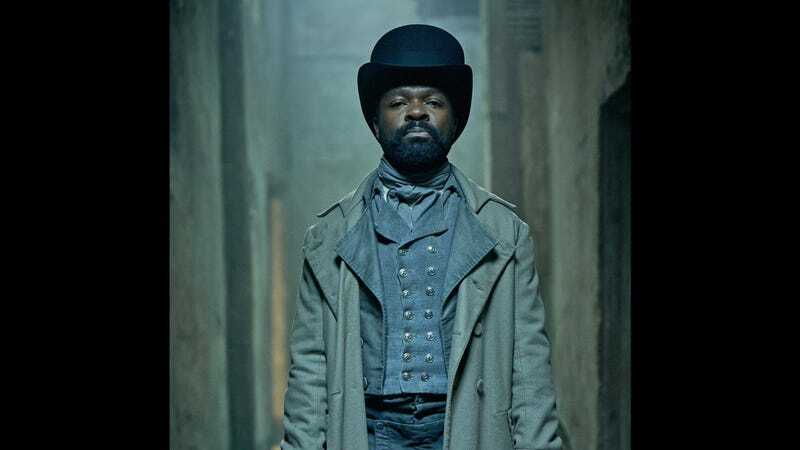 The BBC has released the first images of the new TV adaptation of Les Miserables, which will air here in the United States on Masterpiece, revealing Lily Collins as Fantine, David Oyelowo as Javert, and Dominic West as Jean Valjean. It is pretty priceless, though, that Lily Collins looks like an orphan from a Jane Austen adaptation, since Andrew Davies made the famous many-VHS ITV Pride and Prejudice and will next tackle the author’s unfinished fragment Sandition. I know a fellow member of the can’t-escape-the-clutches-of-Jane club when I see one.